CLICK HERE FOR MORE INFORMATION, SPECS, and PHOTOS! With a June 1st government deadline, Pontiac and GMC brands may disappear as part of broader cost-cutting moves. GM’s Chevrolet, Cadillac and Buick brands are likely safe, said our sources but decisions aren’t yet final. GMC and Pontiac are being studied as part of talks with an Obama administration task force assessing whether GM can be restructured without bankruptcy. President Barack Obama set the June 1st time limit for GM to revamp its survival plan to find more savings from unions, creditors and operations. The reassessment of GM’s earlier decision to keep Pontiac and the future of all of the brands are among topics in meetings this week between executives of the biggest U.S. automaker and a Treasury team led by adviser Harry J. Wilson, the sources said. The number of brands is also part of a discussion on how to speed up the winnowing of GM’s 6,200 dealer locations to 4,100 sites. Franchise agreements with some underperforming dealers may be ended by June 1 to hasten the shrinkage, Reuters reported late yesterday, quoting an unnamed dealer who received a notice. GM has stepped up planning for both a new business model and a potential bankruptcy since March 29, when Obama asked Rick Wagoner to leave as chief executive officer and said he would back a “quick-rinse” bankruptcy to cut debt and other costs. To avoid bankruptcy, GM needs agreements from unions and creditors beyond GM’s February proposal for slashing $47 billion in unsecured claims by 59 percent. He said last month that GM also may need to eliminate more jobs than the 47,000 set for this year and shut more factories than planned. The review of Pontiac and GMC clouds the future for brands dating to the earliest years of GM, which celebrated 100 years in September. Chevrolet and Cadillac are GM’s strongest brands and Buick is popular in China, said the sources familiar with GM's discussions. GM said it has “multiple bidders” for its Saturn dealer network, including a group led by Oklahoma City private-equity firm Black Oak Partners LLC. Potential buyers for Hummer also have signaled their interest, Henderson said in March. It looking like our favorite magazine may soon be a part of history. 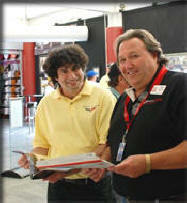 Corvette Quarterly has been mailing out a letter to it's paid subscribers concerning the future of the magazine. The letter states the magazine may be taking a new direction, and the next two issues have been canceled. A web link, with a user ID number requests subscribers to complete a survey. A subscription refund check is also included with the letter. Jerry Burton, CQ Editor recently made this statement to one of our members: "...the fun days appear to be gone. CQ may come back in some form or another, but I'm not holding my breath." April 7 (Bloomberg) -- General Motors Corp. is speeding up preparations for a possible bankruptcy filing even as directors scout for deeper savings this week to avoid that outcome, people familiar with the plans said. GM would focus on forming a new company from its best assets if court protection is needed, said the people, who asked not to be named because the details aren't public. The efforts to set a new cost-cut goal center on how to go beyond a proposal to slash debt by 46 percent and shed 47,000 jobs in 2009, and will include talks with Treasury officials, the people said. The moves are a response to President Barack Obama's March 30 rejection of GM's bid to keep $13.4 billion in federal loans. With bondholders and the United Auto Workers balking at concessions, a push for more savings makes bankruptcy more "probable," Chief Executive Officer Fritz Henderson has said. "The best outcome is for an arrangement outside of bankruptcy, but that will be very difficult," said Dennis Virag, president of Automotive Consulting Group in Ann Arbor, Michigan. "A bankruptcy of a company the size and complexity of GM is not simple, and it's probably going to get ugly." GM's board met yesterday and April 5, and more discussions are planned inside the company and with the Obama administration after the biggest U.S. automaker was given 60 days to restructure without a specific savings target, the people said. New Chairman Kent Kresa said beforehand the agenda would be "extensive." New General Motors Corp. CEO Fritz Henderson is willing to take the struggling automaker into bankruptcy if necessary and signaled such a move could come quickly if GM determines it can't meet the government's 60-day deadline for more aggressive restructuring. Henderson's candid comments Tuesday during his first press conference as GM's chief executive were in stark contrast to his predecessor, Rick Wagoner, who steadfastly maintained that bankruptcy would put GM out of business. Henderson said bankruptcy is not his preferred option but GM will do "whatever it takes" to reinvent itself as a competitive automaker. "We will get the job done," he said. "We will do it out of court, or we will do it in court." A bankruptcy filing would allow GM to take dramatic steps to wipe out debts and slash costs, affecting an array of stakeholders including shareholders, bondholders, suppliers, dealers and the United Auto Workers. To satisfy the Obama administration's demand to cut deeper and faster, Henderson said GM will have to eliminate more debt and take restructuring steps that likely will result in more job losses and plant closures. Henderson's comments came a day after President Obama's auto task force released its analysis of viability plans submitted by GM and Chrysler LLC to justify the $17.4 billion they have received in federal aid. The task force concluded that neither automaker had outlined a credible plan to profitability and suggested that a short-term bankruptcy may be the "best chance of success" for the automakers. The White House told GM it must complete a more aggressive restructuring plan in the next 60 days; Chrysler has 30 days to conclude a partnership deal with Italy's Fiat SpA. GM and Chrysler have struggled to win agreements from the UAW and bondholders to reduce their debt, as required under their loan terms. Ray Young, GM's chief financial officer, told CNBC Tuesday that GM pulled its offers to bondholders and the UAW. The automaker will now re-evaluate what needs to be done to address the government's request to restructure further and faster. Henderson said if it became clear that GM won't succeed with its restructuring before the government's deadline, he would not delay bankruptcy. A short-term bankruptcy filing, along with billions in government-provided debtor-in-possession financing, could alleviate GM's concerns that a court-ordered restructuring would lead to a liquidation of the company, damage the brand and scare away buyers. Either way, GM needs a clean balance sheet to reposition the company so it can operate free of government oversight and aid. GM's new bankruptcy stance comes amid revelations the Obama administration reportedly is considering using Section 363 of the federal bankruptcy code, which could allow for a fairly quick sale of assets. But Harvard law professor Mark Roe, a top bankruptcy expert, said it would likely take significantly longer than the 30-day bankruptcy procedure described by the Obama administration for GM to deal with its many brands and dealers, as well as liabilities to the UAW and bondholders, even under a Section 363 procedure. "If a company went into bankruptcy and its only problem was bond debt, 30 days might be pushing it, but that's thinkable," he said. "But if it's more complicated -- and GM is more complicated -- it's hard to do that unless you do it without addressing the structural problems." Under Section 363 of the federal bankruptcy code, Roe said, the productive portions of GM could be split off and sold, with a "new GM" emerging from bankruptcy -- without the burdens of retiree health care liabilities or nearly $28 billion in bond debt. Until the White House said GM needed a more aggressive restructuring plan, the automaker proposed focusing on four core brands -- Chevrolet, Cadillac, Buick, GMC -- and Pontiac would become a smaller, niche brand. According to Bloomberg News, a meeting this weekend by GM's board will focus on the latest restructuring options. GM - New Meaning - Government Motors! 5:AM EST President Barack Obama will give General Motors 60 days to craft a new survival plan without Chairman and Chief Executive Rick Wagoner, and set a 30-day deadline for Chrysler to either partner with Fiat SpA or shut down. The White House has said Chrysler LLC and General Motors Corp. have not submitted acceptable plans to receive more federal loans. Chrysler has been given 30 days to complete a partnership with Italian automaker Fiat SpA and could be destined for a sell-off if no deal is reached. General Motors Corp. will get an additional 60 days of U.S. government help to undertake an even more aggressive restructuring effort in hopes of making it a viable company under President Barack Obama's plan to save the U.S. auto industry, expected to be unveiled today. The new efforts could include an expedited, court-supervised restructuring to rid GM's book of billions in dollars of debts if the out-of-court process does not work, senior Obama administration officials said late Sunday on the condition of anonymity. One scenario that could emerge is for GM to spend 60 days developing a more aggressive turnaround plan followed by a so-called quick rinse bankruptcy that could take as long as 30 days, a person briefed on the thinking said. But all of this work will have to occur without GM Chairman and Chief Executive Rick Wagoner, who is resigning as part of the conditions for more help. GM, which has lost nearly $70 billion over the past two years, has been fighting off bankruptcy since last fall when the U.S. auto market collapsed and sales fell to near 30-year lows. But a senior administration official, speaking on the condition of anonymity, said the White House was confident that GM can "survive and thrive as a company," but that it will take a more significant restructuring to achieve that. All stakeholders will be expected to give up more to make the plan work. "This is an industry of critical importance to the country. We want to do everything we can to help it, and help the many workers who have jobs in it, and help the communities that are affected by it," a senior administration official said. No price tag has been put on how much additional aid GM will get if it meets the administration's requirements. The company had asked for an additional $16.6 billion on top of the $13.4 billion approved in December. Obama is expected to announce plans for Chrysler and GM this morning. Rumors of a possible forced merger exist. 7:53PM EST The Obama administration asked Rick Wagoner, the chairman and CEO of General Motors, to step down and he agreed, a White House official said. The White House confirmed today Wagoner was leaving at the government's request after The Associated Press reported his immediate departure, without giving a reason. General Motors issued a statement last night that did not officially confirm Wagoner's departure. Obama said Friday in an interview with CBS’s “Face the Nation,” broadcast Sunday, that the carmakers were going to have to do more. “There's been some serious efforts to deal with a combination of long-standing problems in the auto industry,” the president told host Bob Schieffer. “What we're trying to let them know is that we want to have a successful auto industry, U.S. auto industry. We think we can have a successful U.S. auto industry. But it's got to be one that's realistically designed to weather this storm and to emerge at the other end much more lean, mean and competitive than it currently is. “And that's gonna mean a set of sacrifices from all parties involved — management, labor, shareholders, creditors, suppliers, dealers. Everybody's gonna have to come to the table and say it's important for us to take serious restructuring steps now in order to preserve a brighter future down the road." The struggling automotive industry is leading to the loss of more than 200 Bowling Green jobs and further temporary closings of the General Motors Bowling Green Assembly Plant. S-R of Kentucky Inc. is slowing down operations at its Bowling Green plant with the intention to close it indefinitely, which will leave 213 workers jobless. The 175,000-square-foot plant on Scotty’s Way manufactures exterior trim components for a variety of automakers. 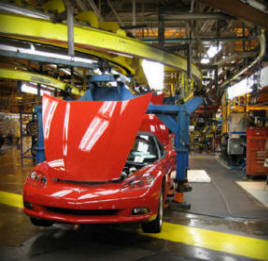 The Corvette plant will shut down for six weeks starting Monday. The plant will close for two weeks, then reopen for a few weeks before closing again. Hourly workers will be temporarily laid off during those down weeks, said Andrea Hales, communications director for the plant. Employees were informed of the shutdowns Monday. Corvette sales are down 50 percent from last year, and the news did not surprise workers, Hales said. "I think our employees expected more downtime because they follow the sale of our products very closely," she said. "So I think our employees were expecting some sort of scheduling announcement." The plant has indefinitely laid off about 130 employees, and officials estimate about 110 more employees will be laid off by the end of the year. Privately owned S-R Global, headquartered in Warren, Mich., has auto parts plants around the world and has owned the Bowling Green plant for six years. The company has about 3,100 U.S. employees. For the last few days we've been following a pretty strong rumor that GM. The story is that focusing on the ongoing battle to survive, GM is doing away with the department that designs and engineers high-performance vehicles. H.P.V.O. High Performance Vehicle Operations, which is based at the company's suburban Detroit technical center, created low-volume vehicles for GM's divisions designed to appeal to enthusiasts and bolster the company's image. Products included V-series Cadillac's and the Chevrolet Cobalt SS, HHR SS and a V-8 version of the Colorado. Due to a refined focus of work on core products, resources at General Motors High Performance Vehicle Operations (H.P.V.O.) have been temporarily reassigned. The 60 engineers impacted by the decision are a talented, experienced group and have been placed in other engineering operations of General Motors to work on core, volume products, including further improvements in fuel efficiency and advanced propulsion. These are talented engineers who will add their expertise to the various teams they are joining. When market conditions and public demand for high performance or specialty vehicles change in the future, General Motors will return these resources to their original tasks. 2009 Cadillac CTS-V from H.P.V.O. 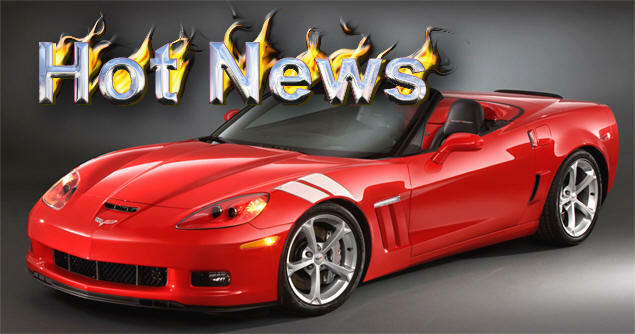 Back on January 26th Right here on "Hot News" we broke the news about the 2009 Corvette GT1 Championship Edition. We promised you photos and specifications when available... Well keeping our promise, we're first on the net with the photos and specifications and option information for this exciting new Corvette! CLICK HERE FOR PHOTOS and More INFORMATION! 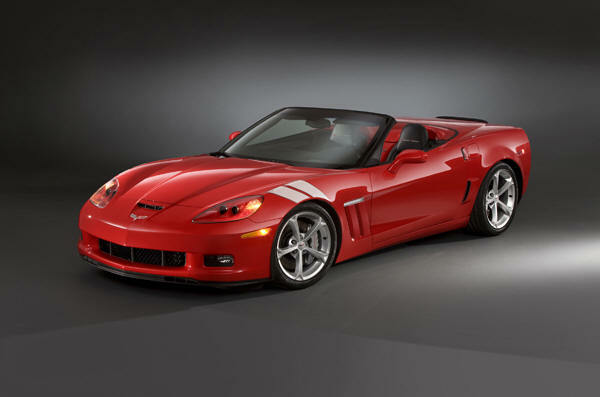 HERTZ FUN CLUB IS BACK FOR 2009 WITH A ZHZ CORVETTE CONVERTIBLE! Members – Does the term “IT’S A RENTAL, DON’T BE GENTLE” mean anything to you? Well, it certainly will be to Hertz starting in June 2009 when they release to the renting public 375 very limited and specially equipped Velocity Yellow 2LT 2009 Convertibles with an easily recognizable ZHZ fender badge on both sides. These very special Convertibles will be rented through the Hertz Fun Club Program at various Hertz locations throughout the United States, including Hawaii. This wonderful Hertz program has been ongoing for the last several years. They received considerable attention three years ago with the re-introduction of the Carroll Shelby Black and Gold Mustang GT-H that they have been successfully renting, just like they did back in 1966. The current Hertz Coupe program has been an overwhelming success, and we are sure that members of the Registry renting these Coupes have made a big impact! Hertz’s soon to be collectible ZHZ Corvette Convertible will include the 2LT Ebony interior (193) package with a ZHZ embroidered logo on the console arm rest and floor mats inside of a Velocity Yellow (45U) exterior tint coat paint with a Black Stripe, from front to back, laid down the center of this C6. The transmission of choice will be the Six Speed Paddle Shift Automatic, along with the (NPP) Dual Mode Exhaust and (F55) Magnetic Select Ride Control, including the cross drilled rotors. Members, the best news of all is that Hertz will be offering a very special discount program to Registry Members. We will place these new 2009 discount codes on our MEMBERS ONLY section as soon as they have been released. We finalized with Hertz the list of cities that these Fun Club Corvettes are scheduled to be available at. These Convertibles will be considered a summer and fall rental vehicle, so they may not be available at all locations once winter arrives. 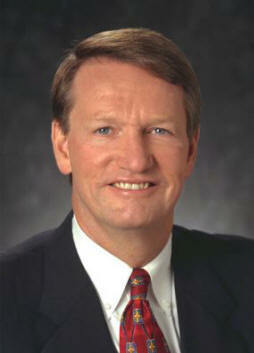 Will Retire at End of 2009 - Tom Stephens Becomes Vice Chairman-Global Product Development. GM Chairman and CEO Rick Wagoner today announced that Robert A. Lutz, GM Vice Chairman – Global Product Development, will transition to a new role effective April 1, 2009 as Vice Chairman and Senior Advisor. Lutz, 76, will provide strategic input into GM’s global design and key product initiatives until his retirement at the end of 2009. He will continue to report to Wagoner. 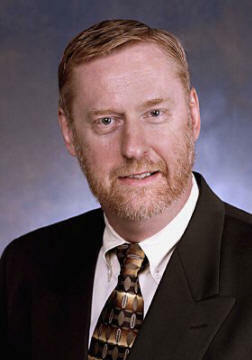 Wagoner also announced that effective April 1, 2009 the GM Board of Directors elected Thomas G. Stephens, Vice Chairman – Global Product Development, reporting to President and Chief Operating Officer Fritz Henderson. Stephens, 60, is currently Executive Vice President, Global Powertrain and Global Quality. In this new assignment, Stephens will maintain his responsibility for overseeing GM’s global quality activity. Concurrent with this appointment, GM is restructuring its global powertrain group to integrate powertrain functional activities into their respective global GM functions. Accordingly, in his new role, Stephens will have responsibility for global powertrain engineering, in addition to global design, product engineering, product planning and program management. Powertrain manufacturing will report to Gary Cowger, Group Vice President of GM Global Manufacturing and Labor Relations. Other staffs that support the GM Powertrain organization will be integrated into their respective global functions. These moves represent another important step in GM’s restructuring initiative to create a leaner, more efficient organization. “Bob Lutz was already a legendary automotive product guy when he rejoined GM in 2001,” Wagoner said, “and he’s added to that by leading the creation of a string of award-winning vehicles for GM during his time here. His 46 years of experience in the global automotive business have been invaluable to us. 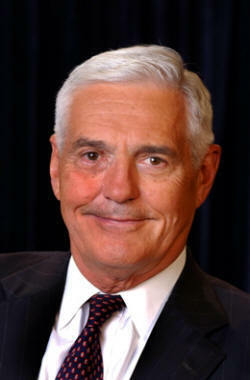 I’ve personally learned a great deal from Bob and have very much enjoyed the time we’ve worked together,” Wagoner added. “I’m looking forward to Bob’s continued contributions to GM for the remainder of 2009 – and I know the impact of his efforts leading GM global product development will continue for years to come. “Tom Stephens is the perfect guy to take the reins of GM’s global product development,” Wagoner continued. “He’s had extensive experience in virtually every aspect of our global product development activities. With his 40 years at GM, Tom has an extraordinary understanding of our products and our organization, and is highly respected worldwide. I’m confident that with Tom’s passion for great products and vast knowledge of advanced propulsion, he will continue to raise the bar in executing outstanding GM cars and trucks. DETROIT - Corvette Racing will have a new driver lineup for the 2009 American Le Mans Series and the 24 Hours of Le Mans. Antonio Garcia will join defending ALMS GT1 champions Johnny O'Connell and Jan Magnussen in the No. 3 Compuware Corvette C6.R for the Sebring 12-hour, Le Mans 24-hour, and 1000-mile Petit Le Mans endurance races. Marcel Fassler will be teamed with 2005-07 GT1 champions Oliver Gavin and Olivier Beretta in the No. 4 Compuware Corvette C6.R in the three long-distance races. Canadian Ron Fellows, a member of Corvette Racing since its inception, will continue with the team in an advisory and ambassadorial role. The new additions to Corvette Racing's driver roster have extensive experience in world-class GT competition. Garcia, 28, of Barcelona, Spain, has raced with distinction in the European Touring Car Championship, the World Touring Car Championship, and the Grand-Am Rolex Sports Car Series. He was part of the winning GT1 team in the 2008 24 Hours of Le Mans, and recently shared in an overall victory in the 2009 Rolex 24 at Daytona. Fassler, 32, of Einsiedeln, Switzerland, has competed in the DTM, the European Le Mans Series, A1 Grand Prix, and the FIA GT championship. Driving a Corvette for the Phoenix Carsport team in the FIA GT series, Fassler won the prestigious Spa 24-hour race in 2007, and continued that success in 2008 with five pole positions and a win in Adria, Italy, finishing fourth in the championship. "Antonio and Marcel have the ability, the experience, and the mindset that we look for in a Corvette Racing driver," said GM Road Racing Group manager Steve Wesoloski. "We've seen their speed on the track, and we know they have the discipline and team-oriented attitude that's essential for success in endurance racing. Our international driver lineup reflects the global marketing objectives of the Corvette Racing program." As if the 638-hp 2009 Chevrolet Corvette ZR1 wasn’t powerful enough already, Hennessey Motorsports has decided to offer two performance package upgrades for the Chevy beast that takes it up to a total of 755-hp. The first package, known as the ZR700, adds a supercharger pulley and blower snout upgrade, an intercooler system upgrade, a K&N air filter and a reprogrammed EMC (engine management computer). All that allows the 2009 ZR1 to produce 705-hp with a maximum torque of 717 lb-ft. 0 to 60 mph in just 3.1 seconds with a top speed of 212 mph. The second package, known as the ZR750, adds everything from the ZR700 package and more for a total of 755-hp with a peak torque of 730 lb-ft. 0 to 60 is cut down to just 2.9 seconds with a top speed at a whopping 217 mph. For pricing and other details call Hennessey Motorsports at 877.885.7077. Follow the link to see a video of the Hennessey ZR700 in action. 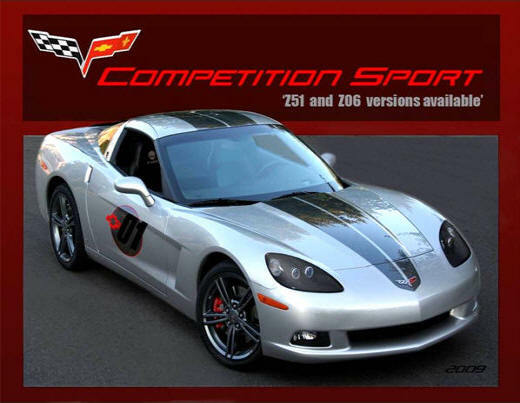 Breaking News – Members, GM has sold at auction, or placed in the hands of driving school enthusiasts, the 60 “Captured Test Fleet” (CTF) ZR1’s! These CTF’s were pre-production test fleet ZR1’s used by Engineers and Corvette Management to put these ZR1’s through real world testing and evaluation. Many of these Super Cars were “enjoyed” (TESTED) at race tracks such as Virginia International Raceway and Road America in Elkhart Lake, Wisconsin over the summer, as well as many other venues. 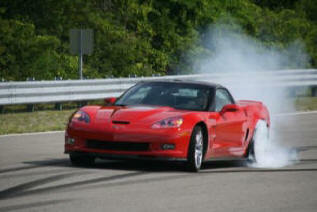 This important testing was done to see how the ZR1 would perform and hold up in the hands of its real world owners. 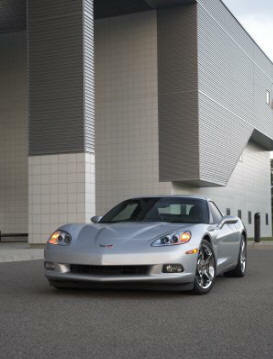 Many of these ZR1s had over 10,000+ tested miles on them when they were sold at auction. This will create quite an interesting dilemma for future Corvette historians as there are now three # 1 ZR1’s produced for the 2009 model year, followed by two VINs # 2 through 60 for the ZR1. It will be interesting to see how this will be explained at Barrett-Jackson and the Mecum Auctions 25 years from now! Breaking News – Members, Tom Hill, Quality Engineering Manager of the Bowling Green Assembly Plant, announced on Saturday night, January 24, 2009 to the crowd present at the NCRS Awards Banquet in Kissimmee, Florida that a GT1 Championship Edition would be built starting this Spring. 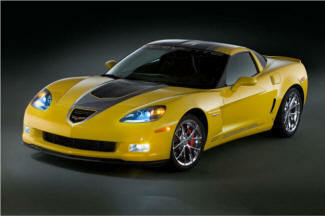 The 2009 GT1 Championship Edition would be available in Coupe, Convertible and Z06 models. They will include your choice of 45U Velocity Yellow or 41U Black exterior paint with C6.R graphics inspired by our victorious Pratt & Miller Racing Team. 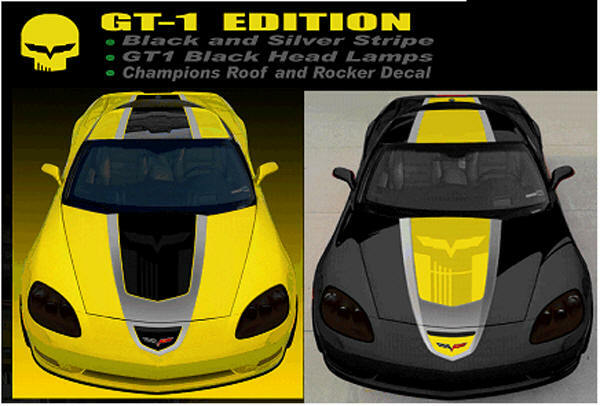 This striping package will have a familiar “JAKE” theme running through the Black and Silver design. A very unique feature will include graphics that will have the driver’s names on the roof just like the C6.R has. Of course the Championships that the C6.R has won will be displayed on a lower door script graphic. The uniqueness continues with Black headlamps on the Velocity Yellow models including Genuine Corvette Accessories use on the body with colored door handles and a carbon patterned engine cover. All models will include the ZR1 full width spoiler in body color, Q9V Forged Chrome Wheels (export models will only have QG7 Polished Wheels), Z51 Performance Package and NPP Performance Exhaust for Coupe and Convertible. Each will receive a distinctive yellow windshield banner for installation. All models will have exclusive GT1 embroidery on the seats and console lid. Ebony 4LT (Coupe and Convertible) and 3LZ (Z06) interiors and shifter will be accentuated with yellow stitching. Included will be a Special Console Trim Plate with specific VIN sequencing and a Certificate of Authenticity. Options reportedly available will include C2L Dual Roof Panels for the Coupe, U3U Navigation on all models, and MX0 6-speed paddle shift automatic on Coupe and Convertible. Members, we have Exciting News to share with you. All four models and paint schemes of the Competition Sport Corvette (RPO CSC) will be on display at the Corvette Corral during the 12 Hours of Sebring on Saturday, March 21, 2009. Don’t miss this opportunity to see these very limited Special Edition CSC’s in person and ask any questions you may have directly to Corvette’s own Marketing Product Manager, Harlan Charles. Harlan has always been a wonderful friend to the Registry and its members. Please take this opportunity to have your picture taken with Harlan and get his autograph on a special piece of Corvette memorabilia that you may choose to bring with you. The Sebring International Raceway will host the 57th running of the ALMS Mobil 1 Twelve Hours of Sebring on March 18-21, 2009. America’s oldest and most prestigious sports car endurance race takes the Green flag at 10:30 a.m. on Saturday, March 21, 2009. Members, on this Historic Inauguration Day, we understand it is important for you to be kept up to date on current 2009 C6 production. As of the final day of production on Tuesday, December 23, 2008, there have been 13,683 C6’s produced for the 2009 model year. Automatic 6-Speed (Paddle Shift) is 67% of Coupes and 79% of Convertibles. Z51 Performance Handling Package is 36% of Coupes and 32% of Convertibles. F55 Magnetic Selective Ride Control is 10% of Coupes and 26% of Convertibles. NPP Dual Mode Exhaust System is 50% of Coupes and 57% of Convertibles. The new Base 1LT Convertible is running 9% of total Convertible production. Members: The latest word we have is that Plant Production is to resume on Monday, February 16th with C6s filling the line and rolling out the door by Monday, February 23, 2009. What a year 2009 may turn out to be. This very unique year may be the lowest production of Corvettes in recent history. In 2005 there were 37,372 built, in 2006 there were 34,021, and in 2007 there were 40,561. If the current production numbers continue, most likely there will be less than 25,000 Corvettes built for the 2009 model year. Let’s hope this trend doesn’t continue. Our team was definitely influenced quite a bit by the National Corvette Museum's HPDE events (High Performance Driving Education) and wanted to do a package that was aimed at enthusiasts who go to HPDE’s, autocross, and other track day events and schools. We talked a lot about the racing numbers as part of this package as cars are usually numbered for identification for the track or autocross events. We knew not everyone would use the race numbers, but we still felt it was a unique way of identifying the build order number of that particular car. The lightest versions of the Z06 and Coupe were chosen and we added some exclusive features from the Z06 to the coupe like the HUD, diff cooler, and taller spoiler. The coupe includes Z51 and NPP also to make it the highest performance version of the coupe available. We had input from the Spring Mountain Corvette driving school that the accessory racing pedals made heel-toe shifting easier so we included those. We wanted to have a Competition Gray theme so we developed a new Competition Gray stripe, and used headlamps and wheels give it a track look and the wheels hide the brakes dust. The Corvette C6.R Racing “Jake” logo has a big following with the people we meet at the HPDE's so we had to include it. We wanted to keep the package simple to order so we limited to white and silver for coupe and black and silver for Z06 - one shared - one specific for each without options. Below $ 55,700 for the Coupe, and Below $ 77,100 for the Z06 Our Best Estimates! Members, Please keep in mind that a regular 1LT Coupe with Z51 and NPP exhaust is currently priced at $52,305 and a 1LZ Z06 starts at $74,775 so the (RPO) CSC price of these packages at about 3K more includes a bunch of extras! If needed, you can download the free PowerPoint viewer by clicking here. OWN A LITTLE BIT OF HISTORY..... CAMARO NUMBER ONE! One very passionate Camaro enthusiast at the 2009 Barrett-Jackson Collector Car Auction will come away with the keys to the first regular retail production-built unit of Chevy’s all-new, 21st Century Sports Car. This first Camaro built for regular retail production will have a VIN ending with 100001*. 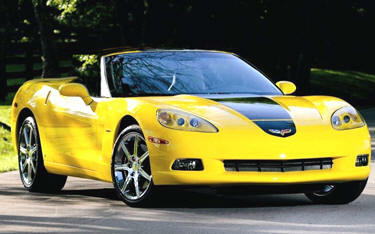 Chevrolet ceased production of the fourth-generation of their vaunted sportscar in 2002. Four years later, Camaro appeared as a surprise concept vehicle at the North American International Auto Show in Detroit. The new production Camaro remains steadfastly true to that concept, with an eye-catching design reminiscent of the storied 1969 Camaro, but equipped with modern technology and a GM-estimated 27 MPG** highway when equipped with the available V6 engine. Importantly, the winning bidder will have the ability to spec and order their Camaro to their liking, choosing from several colors, V6 or V8 engines, a manual or automatic transmission, and various trim packages and free-flow options. The vehicle will be built on the first day of retail production -- scheduled for early 2009. *** All net proceeds from the sale will benefit the American Heart Association, a national voluntary health agency whose mission is: "Building healthier lives, free of cardiovascular diseases and stroke." The association's impact goal is to reduce coronary heart disease, stroke and risk by 25 percent by 2010. Please join GM, Chevrolet, Barrett-Jackson and the American Heart Association in pursuit of this very worthwhile effort, and be the first to own Chevy’s 21st Century Sports Car, the 2010 Chevy Camaro. REGISTER NOW AT WWW.BARRETT-JACKSON.COM TO BE ABLE TO BID ON AUCTION DAY.